The problem is that most nonprofits view their various strategies as completely separate. They create hard lines differentiating between their marketing strategies, stewardship strategies, and fundraising strategies. While separating these strategies may be an easier way to create plans for start-up nonprofits, once you're established, you should realize that everything is interconnected. An effective nonprofit marketing strategy can work simultaneously with your stewardship, fundraising, and accounting strategies to reach new supporters, deepen the connection with existing supporters, improve fundraising efforts, and increase your visibility in the community. Improve relations with current supporters. Get your supporters involved with outreach. The easiest way to take into consideration the interconnected nature of your nonprofit's marketing strategy is to find nonprofit marketing software that also takes this into consideration. Your nonprofit software should help you to connect everything and help each aspect of your organization grow simultaneously. Let's jump in to learn more! When most people think about nonprofit marketing, their minds immediately jump to cold marketing outreach for new support. While outreach is an incredibly important aspect of marketing (as we'll discuss later), the first step to your marketing strategy should actually focus on strengthening the relationships you've already begun. Consider your past donors. You captured their attention through your current marketing efforts, and they gave to your organization. But was that the end of their engagement? Keep your donor relations strong by continuing to market to them. This continuous marketing strategy will help retain their attention and engagement levels. Perhaps you'll even encourage more recurring donations. Where does your stewardship of past and current supporters begin? With your nonprofit constituent relationship manager (CRM). Build a great foundation for your nonprofit marketing strategy by continuously updating and refreshing your CRM. Your CRM software solution should house more than the simple demographics of your constituents. You should store more information to create robust profiles, including the historic interactions they have with your organization, any important documents related to that person, and additional notes you find relevant. Automate data flow from your fundraising pages, event registrations, and advocacy efforts so that your manual data inputs are minimal and don't take too much time. Set up task reminders for yourself in your CRM to check in on different campaigns, major gift prospecting processes, and other goals related to your donors. By keeping an updated CRM, you can be sure that all of your marketing efforts are as accurate as possible. For instance, you'll be sure to have the most up-to-date email addresses to send reminders, thank-yous, and newsletters. We also recommend segmenting your supporters into lists according to similarities such as demographics, location, and common interests within your CRM. For example, you might create a list for mid-tier donors. Then, you can reach out to these donors with a targeted email appeal down the line. Salsa's donor database makes it easy to update each donor profile to include all of the relevant information you need for your nonprofit marketing strategy. Then, use this information to make links and connections between your various strategic plans. Be sure you track accurate supporter metrics. When you have comprehensive, customized reports available, you can best see where your current marketing strategies may be excelling or lacking. For example, if your open rate for your email newsletter is lower than you want, the first adjustment you may make to your strategy is updating your subject lines to better entice your supporters. Be sure you have access to reports like these for your current support base. You can obtain these nonprofit analytic reports in your current CRM or your other nonprofit software solutions. By building your strategy around what you're already doing well, and improving upon those elements that are currently ineffective, you'll see the greatest jump in the efficiency of your marketing strategy. You can not only better appeal to the supporters you already have, but you'll also be better prepared to engage new supporters down the line because you know where your strengths lie within your strategy. When it comes to reaching out to both current and future supporters, your organization's greatest tool is your online presence. Whether your organization is gung-ho for advancing technology or if you put more value in face-to-face interaction, there is a place for your online presence in your nonprofit marketing strategy. For instance, you may be looking to expand your online presence further through more and more platforms. Or, maybe you're trying to open up face-to-face conversations through email outreach with potential supporters. 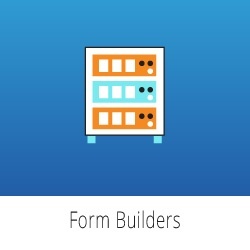 Form builders are key contact capture opportunities in which interested prospects can input their information to get on your email list or obtain more valuable information. You can embed these useful nonprofit marketing tools on landing pages, light-boxes, or widgets on your website. Be sure you have access to a form builder that will help you to capture these important leads. Not only will your supporters gain access to important information, but your supporter list will continue to grow as people fill these forms out. Customizing your fields. Custom fields permit you to ask unique questions you need answers to. While you are trying to limit the amount of information you require, strike a balance between knowing what you need and reducing the extra elements that you don't. Branding your form to your organization. Be sure you can customize your entire form (not just the required fields) so that the colors and images used match the feel and brand on your website. Your lead forms are used to create new opportunities for your organization to reach out to new supporters and get them more involved with your organization. It opens up the potential for new conversations through email, letters, or social media depending on what contact information you require. We recommend asking for email addresses in your lead capture forms so that you can send targeted emails directly to the inboxes of your potential supporters. 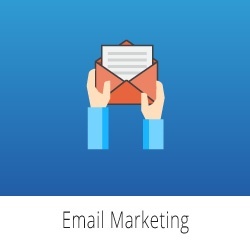 63% of organizations regularly communicate with their constituents through email. This is because it works. We previously talked about segmenting your supporters into lists according to their demographics and other similarities. These groups of supporters will help you send more effective email communications through targeting techniques. Newsletters. Send regular email newsletters to all of your constituents who have subscribed to them. These emails tend to include general updates about your organization for everyone to see. Event information. Send invitations to groups of supporters who have not yet signed up for your event. Meanwhile, you can send reminders and updates to those who have already registered. Fundraising outreach. Keep in mind how different demographics prefer to donate when conducting fundraising outreach. For example, younger generations may prefer giving through social media while older generations may prefer a classic online donation page. Link to the appropriate strategy from your emails. When email building is a part of your nonprofit marketing software, you'll find it easy to auto-populate personal greetings from your CRM software, send email templates directly to segmented lists of supporters, and check your important email metrics to measure effectiveness. You may also choose to segment your email lists based on when supporters filled out their capture form. Then, you can create separate stewardship strategies for your existing supporters and new sign-ups. Social media can be an incredible asset to you; but, if used incorrectly, it can actually become more of a hindrance for your nonprofit organization's marketing strategy. The most important rule of thumb to remember with social media: Only create as many platforms as you have capacity to keep up with. Many nonprofit professionals are under the impression that the more platforms they make available to the public, the better their nonprofit marketing strategy will be. This is not true. This mindset often leads people to creating accounts on more platforms than they are able to post regularly to. Consider this: Someone hears about your nonprofit from a friend then decides to look your organization up on social media to get more information. But if they can't find any information there, they may leave the browser and never try to find more. Live streaming your events to Facebook. Setting up a Snapchat filter at your organization's home office. Some nonprofit marketing software, like that offered through Salsa Engage, empowers your organization to set up pre-scheduled posts for any of your social media platforms. This makes it easier to handle multiple platforms at once with minimal effort. Then, you can track how many people have liked or clicked through to your website from that post. These metrics show how effective your social media marketing efforts are. Instead of simply relying on your organization's cold outreach marketing strategy to gain new supporters, try also getting your existing supporters involved in marketing. By getting your supporters involved in your engagement strategy, you can use their connections to reach their respective networks of friends and family. Peer-to-peer fundraising campaigns are the perfect opportunity to get your supporters involved in both your fundraising strategy and your marketing outreach. If you're unfamiliar with peer-to-peer fundraising, the basic idea behind it is that your supporters reach out to their respective networks in order to raise money on behalf of your organization. Brand your original campaign page to your organization to establish trust with your supporters and donors. Use storytelling techniques to appeal to the emotions of the viewers on your page and encourage them to participate. Post a fundraising thermometer as a gamification technique to encourage more donations. Promote your campaign on social media and encourage your supporters to do the same with their fundraising pages. When your supporters encourage their networks (like social media networks) to donate to your cause, they will fill out information that automatically flows into your CRM. Voila! Those people become new supporters. Encourage your supporters to bring their family and friends to the different events that your organization hosts. These events, whether they be for fundraising or general stewardship, are a great opportunity for people to get involved in a fun activity while simultaneously learning about your amazing mission. Linking to the registration form from a Facebook event page. This way, supporters can sign up then share their registration with their social media network. Including a +1 option on your registration form. By adding this option, your attendees' guests will see first-hand the incredible events that your organization hosts. Start an event fundraising campaign to be shared on social media. 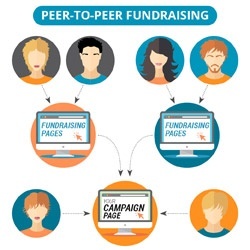 If you create a peer-to-peer fundraising campaign or like fundraising campaign, people will share the fundraiser while letting more people know about the event itself. Don't get too caught up in the marketing of the event and forget to make the event itself awesome! While marketing before the event is important, don't forget the importance of the event itself. New attendees who have fun at your event are more likely to want to get involved with your organization in the future. Your nonprofit marketing strategy can lay the groundwork to connect your fundraising, stewardship, budgeting, communications, and other strategies. It's intimately connected to your overall growth as an organization. Now that you've got three key elements to add to your strategy, you can get to planning!